Another awesome sermon, by Steven Furtick, regarding the verses in Joshua 10. So, why does this story matter? 1 -It demonstrates the magnitude of a defining moment. The context of the story takes place after the defeat of Ai. Five kings of Canaan joined forces to attack the city of Gibeon for making an alliance with Israel. Upon hearing of this move, Joshua and his men marched through the night from Gilgal to Gibeon where, with the Lord’s help, Israel waged war. In the midst of battle, Joshua prayed to God that the Sun would stand still until Israel could vanquish her enemy. It teaches us that God can turn any of our mistakes into a miracle. 2 – Symbolic for all the impossible things we are believing God for. What seems difficult to us isn’t even remotely difficult for God. There is no such word as ‘impossible’ for Him. He is the creator of all. He is able to make anything happen with the touch of a finger or a word from His mouth. When we feel the size of the need is to big, we need to realize it’s never too big for God. Joshua commanded 13 words and the sun stood still. That is all it took. 3 – It presents us with a paradigm with a whole new way to pray. 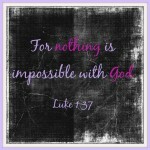 Sun Stand Still prayers boldly believe God for the impossible. 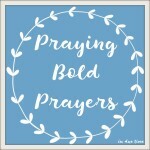 Often, we don’t pray boldly, but instead only ask God for little things that He is already doing (ie. God be with us today – when we know God is with us every second of the day). What if we prayed for healing? What if we prayed for financial restoration? Restored marriages? It seems as though what we pray reflects what we believe about God. And, if there is nothing we are believing God for that is intimidating to us, it’s probably an insult to God. 4 – It teaches us that asking and acting go hand in hand. Joshua had to fight the battle for himself, but the Lord helped him. If we are going to pray to make the Sun Stand Still, we better be willing to march all night, just as Joshua did. We can’t ask God for an A on our test, yet never have even opened a book or done homework. God isn’t just going to drop miracles out of the sky. We must have a persistence to pursue what we pray for. I love that God spoke in past tense in verse 8 (I have given them). We serve a God who speaks about our battles in the past tense, because He already won them. He is victorious. He has already gone ahead and fought for us. He is the same God now as He was when He made the sun stand still. If He can do that, He is fully able to perform any other miracle. Our bold prayer is as we seek out the holistic approach to conceiving, that He blesses us abundantly with children. So, what Sun Stand Still prayers are you praying for?